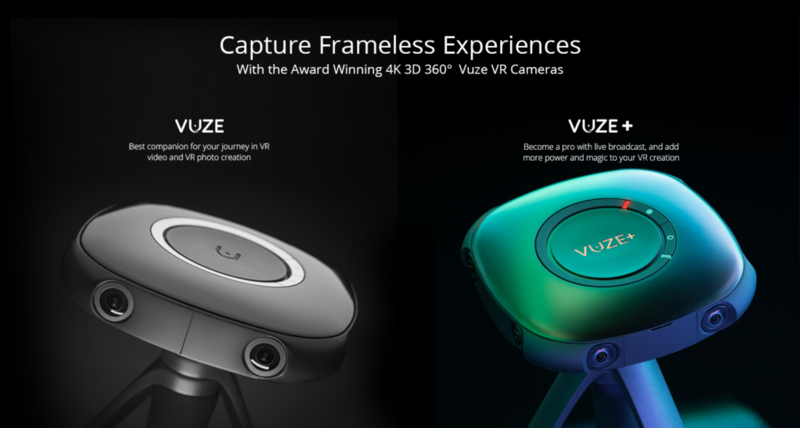 Vuze is a 3D 360⁰ VR camera – capturing full spherical videos and photos in stereoscopic 3D. The footage needs to be stitched to a spherical format using a proprietary stitching technology developed for use with the camera. Vuze is provided together with the Vuze Camera App, Vuze VR Studio and Vuze LIVE Studio. Vuze Camera App can be used to remotely control the camera and manage media stored on a removable SD card. 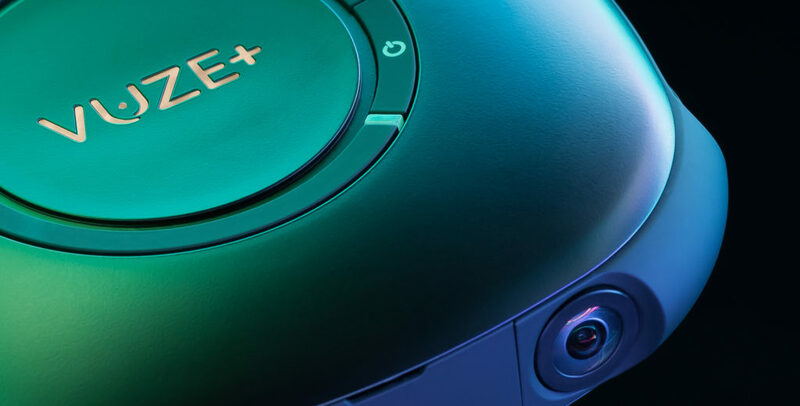 Vuze VR Studio is used to edit captured media using spherical editing tools and to render and stitch media using proprietary stitching technology. Vuze LIVE oﬀers live streaming from the Vuze+ camera to a computer via USB cable with real time preview, editing and live broadcasting options. VR Video Compatible with Humaneyes Zone, Youtube, Facebook and any VR headset or mobile device.